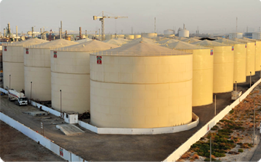 Universal Terminal Hamriyah Free zone- phase IV is one of the largest tank storage terminal in Hamriyah Port. 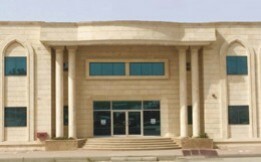 The geographical location is a major advantage to meet diverse transpor- tation demands: The terminal comprises of the largest plot of land in the free zone ~ 200,000 square meters. This is the only terminal in HFZ with integrated/multi-functional facilities, segregated 18 nos pipelines for diversified products and with a dedicated jetty. 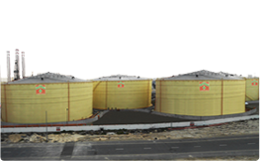 This provides the imputes required for gasoline blending, bunkering and other petroleum products (gasoil gasoline, Nafta etc.) 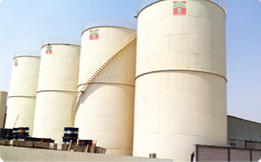 business along with flexible logistics and distribution options..The tank farm capacity in operation at Hamriyah terminal is 210,000 m3 which consist of eighteen (18) storage tanks of various sizes.These tanks are designed to handle the full range of petro- leum products like Fuel Oil, Gas Oil, Mogas, Naphtha, Jet Fuel...etc. 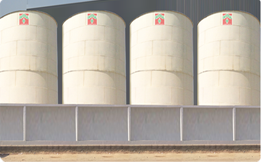 These storage tanks are fixed roofs and floating roofs provided with all operational state of art instruments and equipments like pressure, temperature and mechanical level indicators. 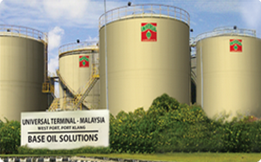 The Fuel Oil tank bottoms is provided with heating coils which is connected to central thermal oil heating system, TheJetty has the capability to berth tankers ranging from 5,000 DWT to 65,000 DWT.The arrangement at Jetty consists of a trestle platform leading to a loading platform. 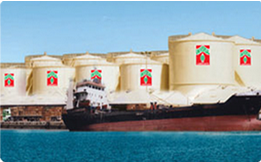 Berthing and Mooring platforms are located to cater to the range of vessels indicated. There are 4 Mooring dolphins and 2 berthing dolphins. 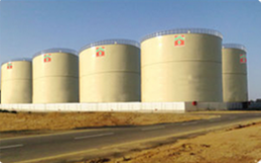 3 standoff fenders are provided to cater for the smaller range of vessels.The terminal has a truck loading area which is connected to the terminal tanks through the pump houses. 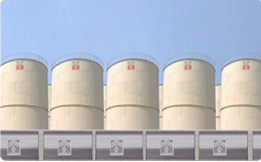 There is a provision for six loading bays for different petroleum products. out of which three loading bays has been commissioned for different products. Our main objective is to ensure customer satisfaction whilst maintaining the quality, safety and environmental care demanded at each stage of any required operation. To this end, ongoing comprehensive training and educational programmes are given to all personnel.